We investigated eight heavy metals (Cr, Cd, Cu, Ni, Pb, Zn, Mn, and Fe) in water and bed sediment at 9 study sites along with 2320 km stretch of the Ganga River. 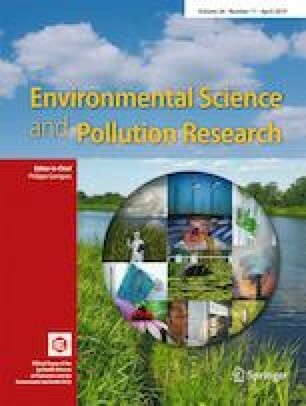 Principal component analysis (PCA) and indices such as geo-accumulation index (Igeo), contamination factor (CF), enrichment factor (EF), pollution indices, and sediment quality guidelines were used to assess source apportionment and magnitude of contamination. Concentrations of Cr, Cd, Pb, Ni, Cu, and Fe in water have exceeded their respective standards in the middle and lower reaches of the river. Sediment Cr and Ni have reached probable effective concentration (PEC) at Kannauj, imposing likely threats to sediment dwellers. Highest Igeo values were recorded for Cr, Cd, and Pb at Kannauj, Rajghat, and Howrah. We further tested ecological risks (Er) and potential ecological risks (PERI) to assess individual and cumulative effects and found the Kannauj, Rajghat, and Howrah sites under the high-risk category. The modified pollution index (MPI) and the modified degree of contamination (mCd) also revealed the middle and lower river reaches under moderately to the heavily polluted category. Our study provides the first detailed watershed-scale database on heavy metal concentration in water and bed sediment, the magnitude of contamination, and likely ecological risks to aquatic organisms in the Ganga River. Given that the Ganga water is used for drinking and irrigation and the river harbors a diversity of habitats for fisheries, the study merits attention from a human health perspective as well. The online version of this article ( https://doi.org/10.1007/s11356-019-04495-6) contains supplementary material, which is available to authorized users. We thank the Coordinators of the Centre of Advanced Study in Botany and DST-FIST, Banaras Hindu University for facilities. This study received funding support from the Council of Scientific and Industrial Research, New Delhi (Grant No. 09/013(0611)/2015-EMR-I).